Get ready to fall in love with Julia and Andrew. They drove in to meet me in Charlottesville, VA from Blacksburg where Julia is finishing her degree. 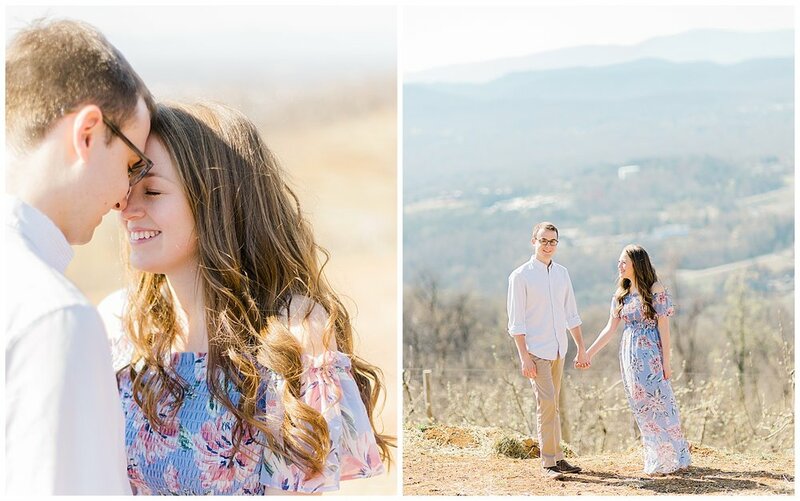 We had the best time taking their portraits at Carter Mountain and IX Art Park as we took their engagement session photos and got to know each other a little better! At Carter Mountain we enjoyed the breezy mountain views and some apple cider donuts, and at IX Art Park we checked out some local art including one mask that Julia made during her high school art class! 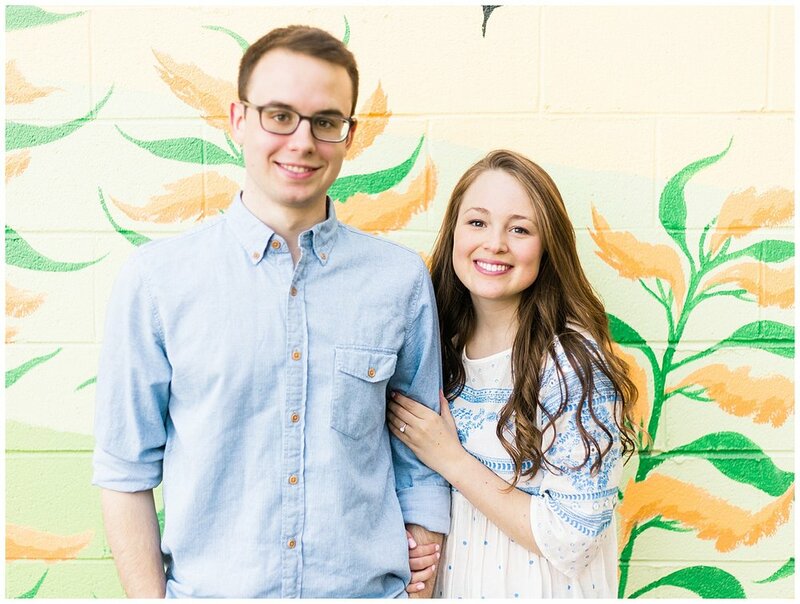 These two college sweethearts met at Virginia Tech while they were both involved in RUF Campus Ministry, and they began dating while on a mission trip to Belize thru the ministry. Two years later, Andrew took Julia to the place where they shared their first kiss to ask her to be his wife. He’d coordinated with Julia’s sister to hide in the bushes and take photos of the big moment, but after they realized how dark it would be, there was a mad rush to buy up all the battery-powered candles and twinkle lights they could find in the local stores! This summer they’ll be holding their wedding at The Haven, which is a gorgeous historic church in Charlottesville, VA that also serves as a day shelter for the community. I love how much Julia and Andrew laugh together, and how they’re planning their big day in a way that will also support the community where Julia grew up. 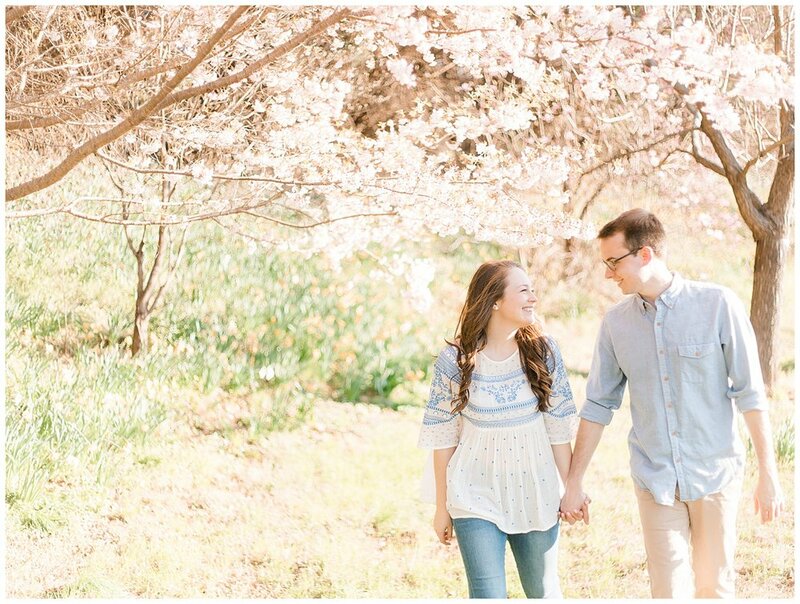 Here are a few of my favorite images from Julia + Andrew’s engagement session at Carter Mountain and IX Art Park!